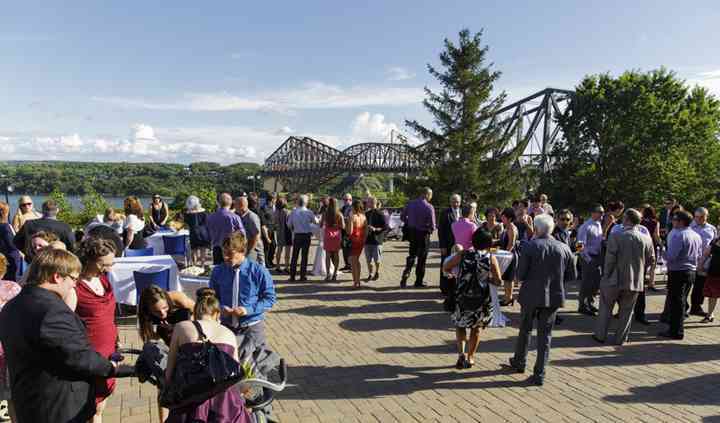 The Aquarium du Québec is an amazing get-away with wonderful experiences for the whole family, as well as an ideal venue to host your event. Only 15 minutes from downtown, the Aquarium showcases stunning views of the St. Lawrence River and the Québec and Pierre-Laporte bridges. Over 10,000 marine animals inhabit the Aquarium and provide a wonderful backdrop at your event for you and your guests to enjoy throughout both indoor and outdoor spaces. 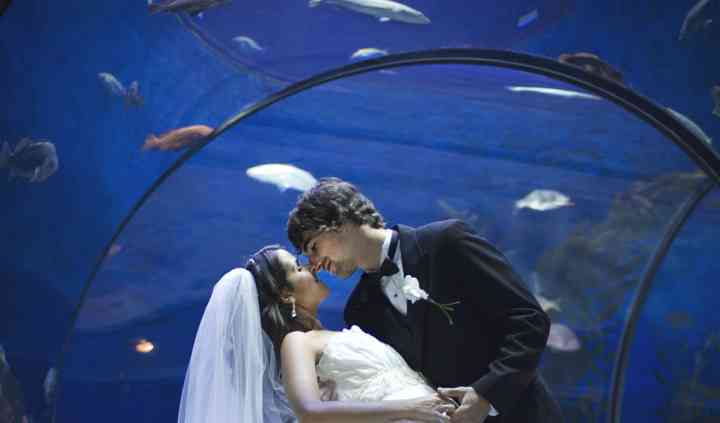 Your aquarium wedding will be unforgettable, with a unique and stunning aquatic background for your wedding pictures. 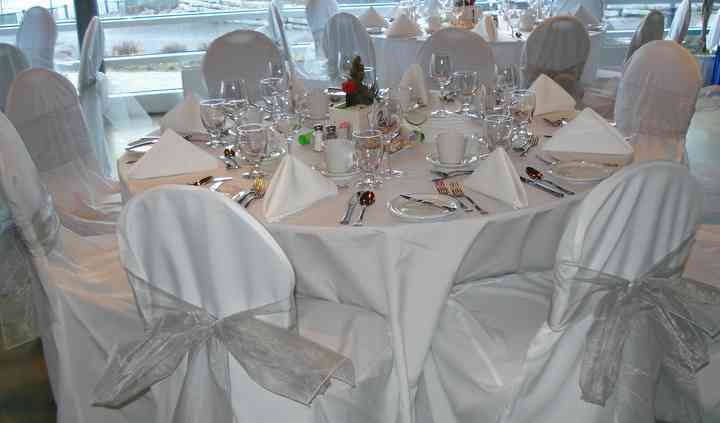 There are many available event spaces for you to choose from at the Aquarium. The Terrace is a popular location to host a cocktail hour, and can accommodate up to 175 people. The Atrium, which can serve up to 500 people, is one of the main event spaces in the primary building of the facility. Offering a view of the river, the Mistral can accommodate 30 guests. The Alize restaurant is ideal for a banquet, reception, or meeting with the space's capacity ranging from 75 to 225 depending on the configuration of the room. Serving as the place of choice for corporate cocktail parties and events, The Depths Pavilion can accommodate 125 people. Finally, the most recently renovated space, The Nordet, offers wonderful views of the grounds and, depending on the arrangement of the room, can seat from 50 to 120 guests. 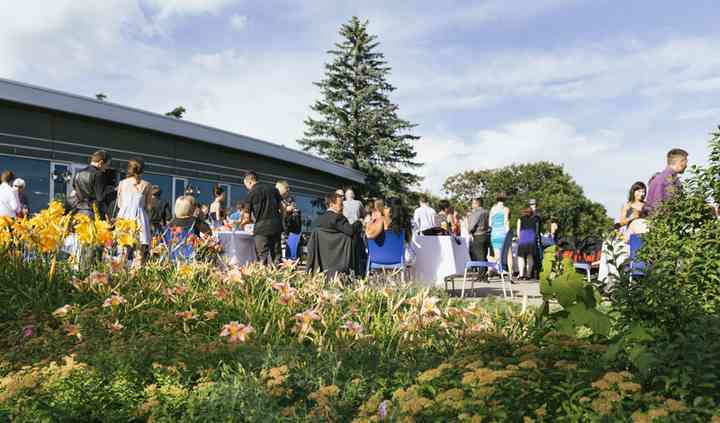 The Aquarium du Quebec offers several different serving styles for your event. Passed hors d'oeuvres, plated meals, and buffets are all available. The Aquarium also has a special barbecue menu which features dishes like bone-in roasted pork chop brushed with barbecue chipotle sauce. An extensive wine list is offered, and wines can be chosen for your event with the help of the Aquarium's in-house Sommelier.